Moist, golden coconut wrapped in rich, dark chocolate. This is a wonderfully moreish snack bar has the added benefit of being certified as organic by the Soil Association. Vegan friendly and totally delicious. 40g bar. Corn syrup*, dessicated coconut* (25%), dark chocolate* (20%), (raw cane sugar*, cocoa mass*, cocoa butter*, vanilla*), corn powder*, soya powder,* palm oil*. No suitable for those with allergies to peanuts, nuts and dairy. 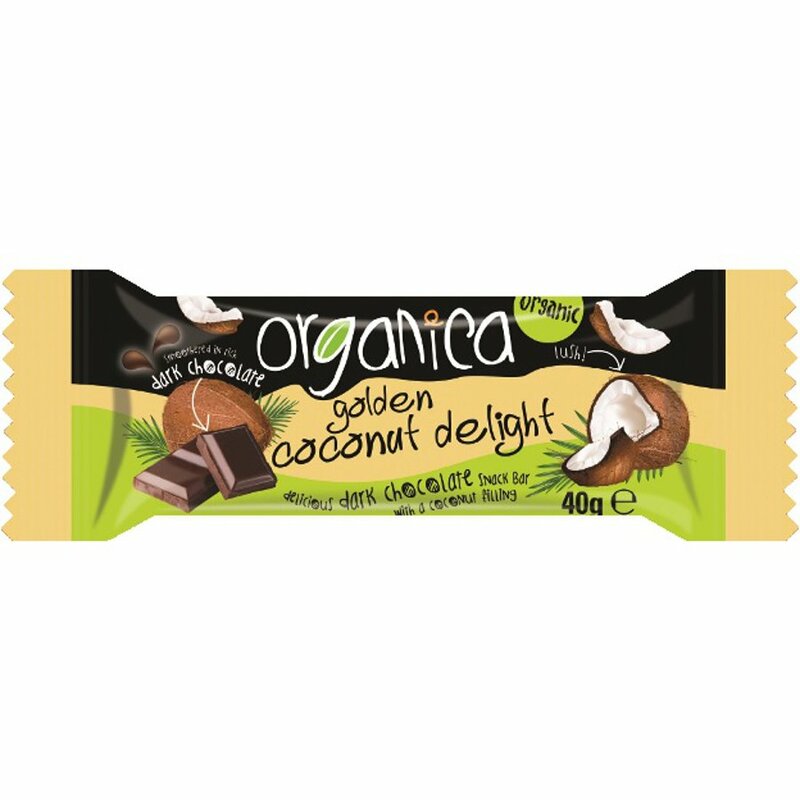 The Organica Golden Coconut Dark Choc Bar 40g product ethics are indicated below. To learn more about these product ethics and to see related products, follow the links below. A joy for all vegans! There are currently no questions to display about Organica Golden Coconut Dark Choc Bar 40g.